Using the right tools will help you learn the Seller’s TRUE MOTIVATION and help you create multiple offers that will give the seller more options than just a lowball offer and increase the overall percentage of your offers getting accepted. 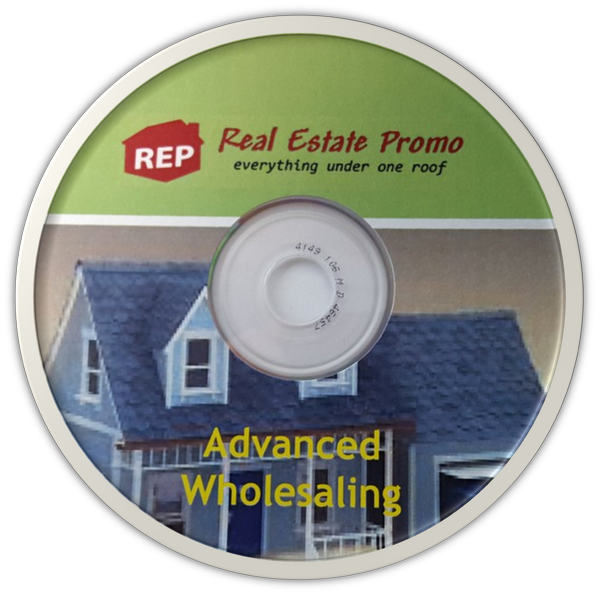 Everyone that attends this workshop will receive a copy of Mike’s Advanced Wholesaling CD. Listen to Mike Jacka and a Third Party Administrator as they talk about some advanced Wholesaling strategies that will even work in your IRA. How to set the right value to start with, with free online resources for finding ARV (After Repair Value). How to use a “Seller Net Sheet” to negotiate more effectively—most investors have no idea how to use or present this powerful tool, but you will after this training. How to use the “Multiple Offer Strategy” to get more deals by giving your sellers several options that will ALL work for you, and let him choose which best works for him! Comps: Well show you how to use some free online resources to find true comparable sold properties to determine the ARV (After Repaired Value) of the subject property. Negotiating: With the right tools at your disposal and a little understand of how to find the sellers true motivation then negotiating is actually a lot easier than most people think. We will spend a considerable amount of time learning how to use a Seller Net Sheet, which is a realtor’s #1 tool for getting offers accepted. Well also discuss some basic negotiating techniques that will turn you into a master negotiator once you learn some key phrases to listen for and when to speak and how to speak when necessary. Constructing Multiple Offers: Estimating repairs and finding good comps are the most important part of any offer, but if you don’t know how to construct an offer, then all that effort was for not. To increase your odds of getting your offer accepted, you need to present the seller with multiple options. The challenge for most investors is how to construct more than one option that works for both the seller and yourself. By the end of this workshop, you will have the tools to help you do just that. Building a Buyers List: A Good quality buyers list will make you more efficient and confident when it comes to negotiating with sellers and constructing multiple offers. At this workshop, we will even discuss some proven strategies to help even the most inexperienced newbies as well as many seasoned investors looking to shift their business model build a quality buyers list. This workshop is designed to help you build the tools/systems needed to get your offers made and increase the likelihood of them getting accepted, and then what to do with the properties once your get them under contract.